Have You Been Training Your Dog? This January is the seventh annual National Train Your Dog Month… have you been training your dog(s)? Perhaps you and your pal are wild for weave poles, or maybe you just want a companion who won’t yank your arm off every time you go for a walk? No matter your situation and goals, this is a good time* to remember that there are huge benefits to socializing and training your dogs — for both you and your pets. It’s not just about teaching good manners. Training is a big part of building a strong, lifelong bond with your dog. How many dogs fitting the “energetic young dog with zero obedience training” profile that have been surrendered to shelters would be spared that experience if their owners had connected with them through training? After speaking out over conditions at the Muskingum County Dog Warden & Adoption Center with county commissioners, Dr. Brian Williams is hopeful that positive changes will occur. “It was supposed to be my decision if an animal was adopted,” Williams said. “The warden continues to adopt dogs out after I have flagged them as bite dogs,” he continued. Some of these dogs were adopted and returned more than once because they proved to be aggressive, according to Williams. This carelessness is obviously an immediate risk to public safety (there are, unfortunately, numerous examples to choose from), but as a trend, it also threatens the mission of rescue as a whole. Adopting out aggressive dogs because one desires to be more “humane” or to increase live release rates accomplishes neither goal. 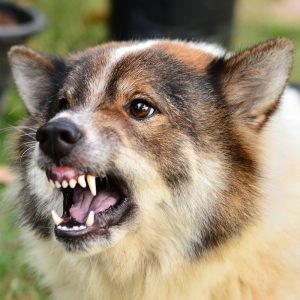 As family members, including pets, are harmed, word inevitably gets out, and every incident that occurs tarnishes the reputation of rescue among prospective adopters. And when people opt out of adoption because they are concerned about dogs with dangerous behavioral issues, it harms rescues’ goal of finding homes for all healthy, adoptable pets. We hope Dr. Williams’ concerns are taken seriously and addressed. Early human clinical trials treating myotubular myopathy are showing great promise, and have even exceeded expectations. This heartbreaking disease causes muscle weakness, difficulty breathing and eating, and abnormal bone development. Its victims, almost exclusively male, rarely live past early childhood. Over the last two years, we had the privilege of seeing presentations by Drs. David Mack and Casey Childers, who had success in combating this disease in dogs with gene therapy (work made possible in large part by the efforts Alison Rockett Frase). The results were dramatic, and we all hoped for similar results in the human children who are affected, too. We are so incredibly proud of their work, and optimistic for future success! Click here to see Dr. Mack’s presentation at the 2016 NAIA conference.